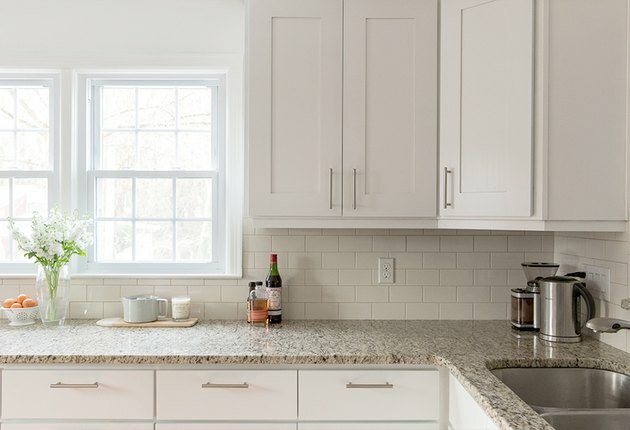 Stainless steel is an obvious accent to use in the kitchen, but it turns out there are tons of creative ways to implement it that you may not have thought of. It's a material that's durable, contemporary, and doesn't stain easily. There are so many places it looks great: countertops, cabinets, appliances, and more. Maybe not all at once, of course, but we're definitely team stainless steel. 1. 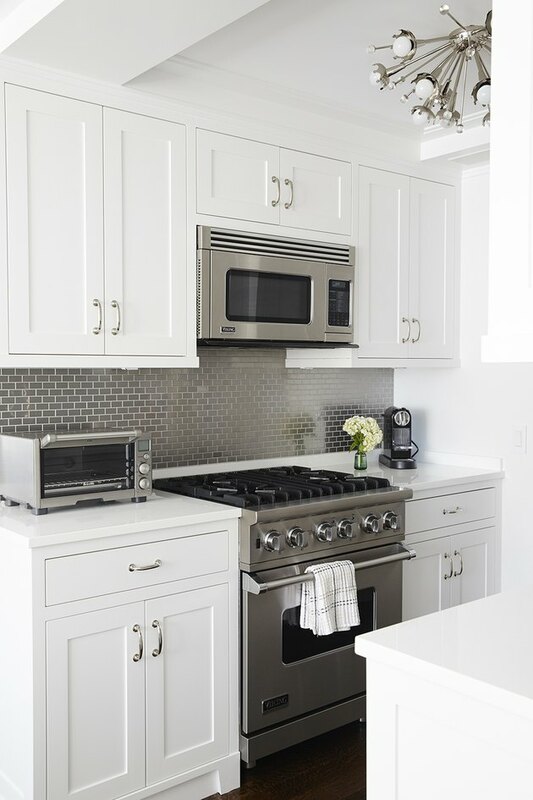 Go for a stainless steel backsplash. This is a super edgy look, and as a bonus, super easy to wipe down. 2. 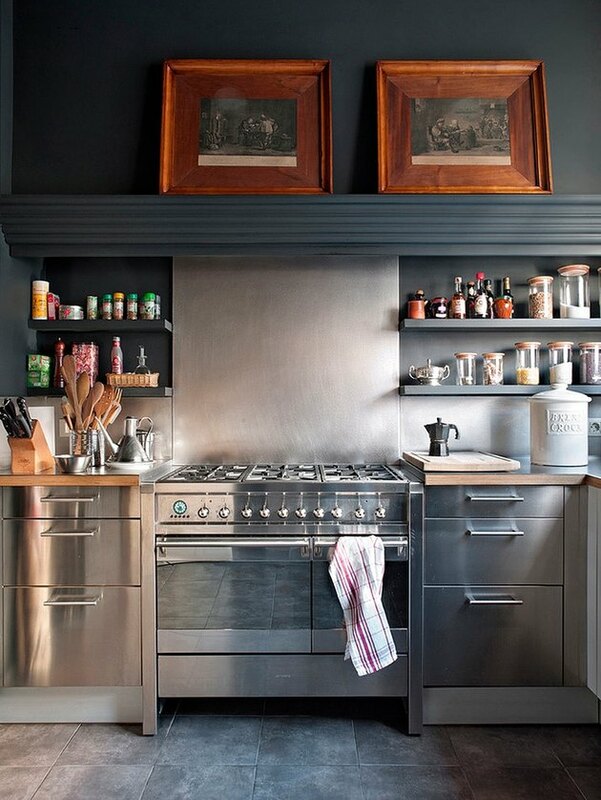 Stainless steel cabinets are cool. Bring an industrial vibe to your kitchen with stainless cabinets. 3. Try out stainless steel countertops. Stainless steel makes for a durable countertop material that's also easy to clean. 4. Deck out your island in stainless steel. 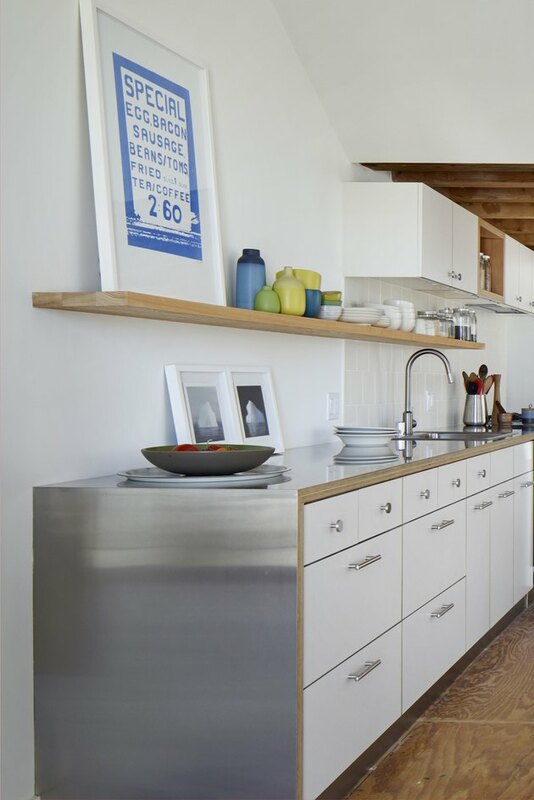 A stainless steel island is a cool accent piece to toughen up your space. 5. Switch out all your appliances for stainless steel. 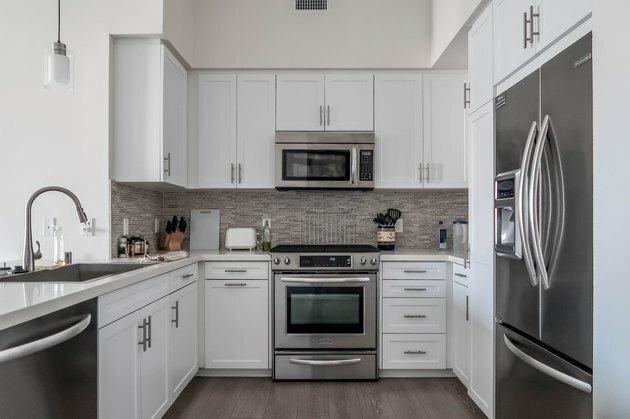 This one may seem obvious, but matching stainless appliances give your space a unified and cohesive feel. 6. 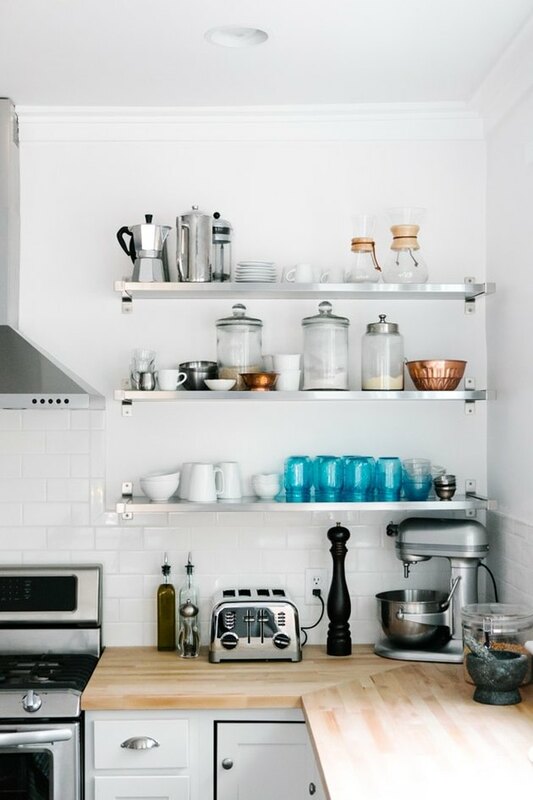 Hang stainless steel floating shelves. These are great for organizing your kitchen appliances and dishware. 7. 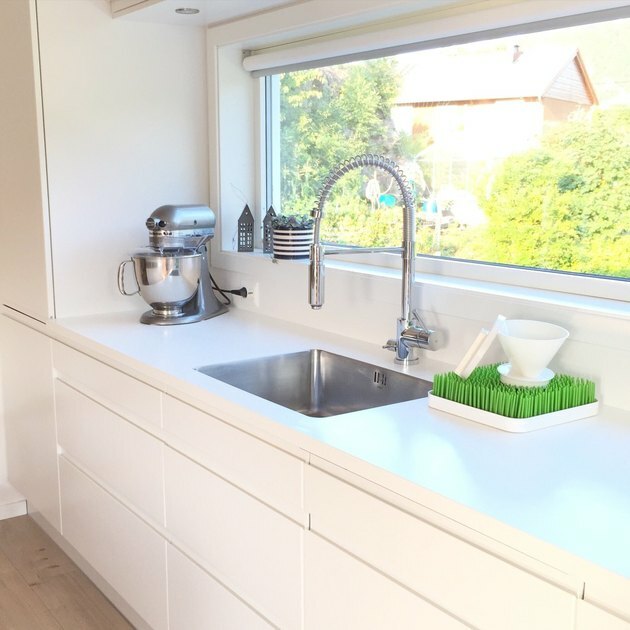 Install a stainless steel sink. Stainless steel sinks are practical and don't show off dirt easily. They're also neutral, so they match most spaces. 8. Incorporate stainless steel into your lighting. 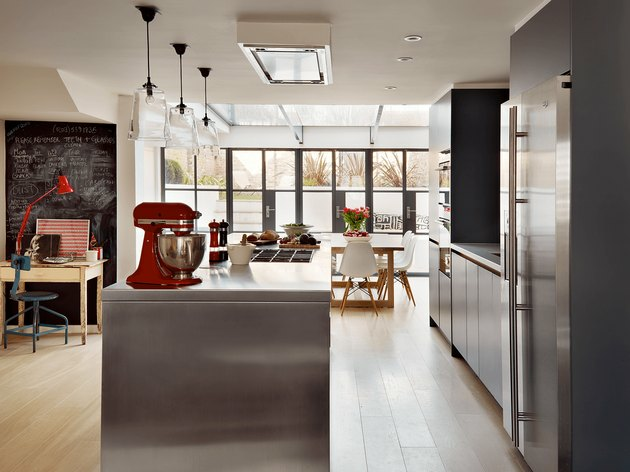 If you don't want to overdo it, try investing in stainless lighting. 9. Accessorize with stainless steel. This is one of the cheapest and quickest ways to incorporate stainless steel. 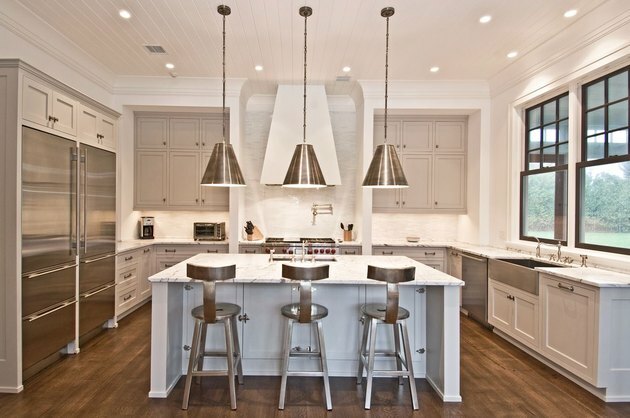 Switch out your cabinet hardware for stainless pieces or buy some industrial bar stools.